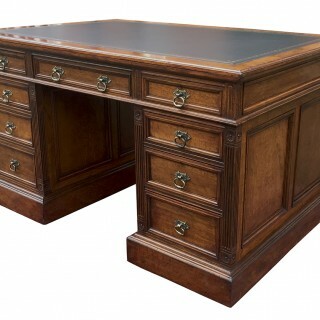 This exceptional quality partners desk is made from well figured pollard oak in the Aesthetic style associated with the Arts and Crafts movement. 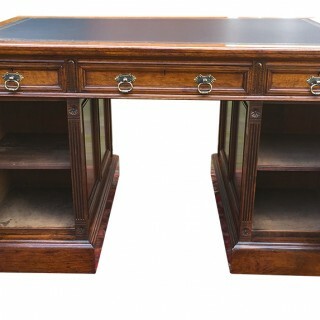 It has recently benefited from traditional restoration including french polishing and waxing. 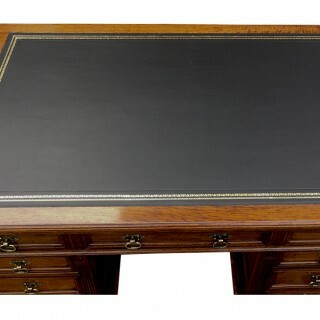 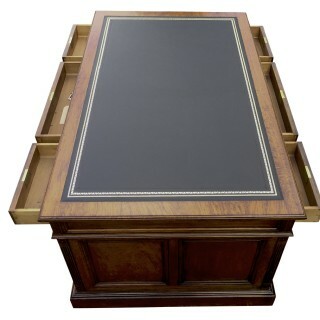 The top is fitted a replacement black hide writing surface with gilt and blind tooling. 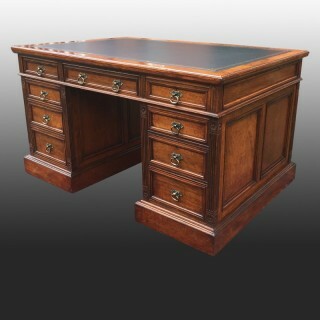 This is surrounded by a band of oak with a moulded edge. 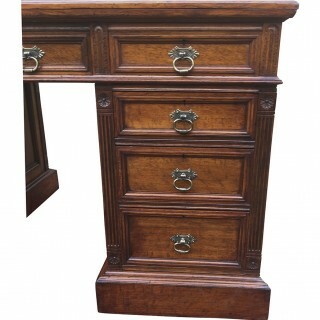 It has 3 drawers to both sides of the width of the top. 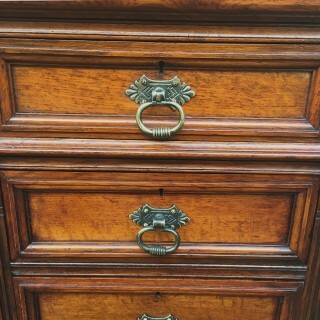 These are mahogany lined with hand cut dovetails and original brass locks. 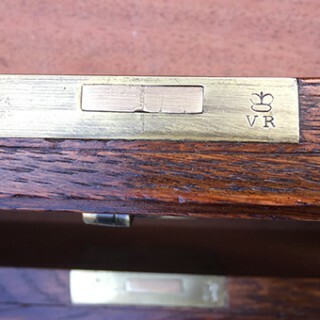 The drawer fronts have ogee mouldings and the original brass handles. 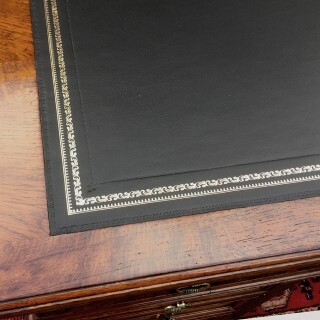 The sides of the top are panelled. 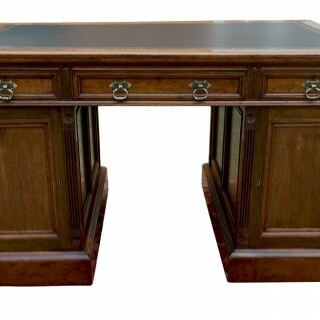 As with most partners desks it was made in 3 sections, top and 2 pedestals for ease of transport and installation. 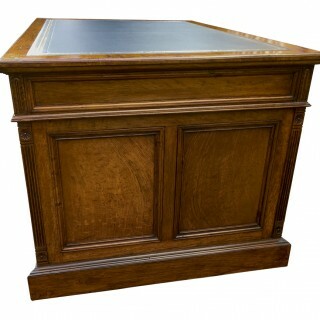 The pedestals are each fitted 3 drawers, have reeded and floral decoration and stand on plinth bases with hidden castors. 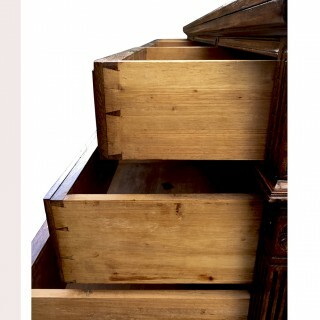 Both sides of the pedestals are panelled and the reverse have cupboards with a shelf. 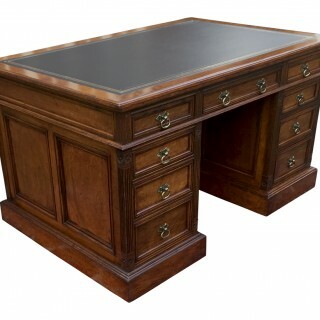 The desk is an attractive nut brown colour and would grace any office, study, or library.